» No Morning Sickness with Twins: Is It Possible? No Morning Sickness with Twins: Is It Possible? Morning sickness – one of the most common (and annoying) symptoms of pregnancy. Most mothers would agree that there’s really no fun to constantly feeling like you’re about to hurl, and even less so when you do. For mothers expecting to give birth to more than one child, there’s a question they might be asking: Is there no morning sickness with twins? It might be a little useful to understand why exactly you get these fits of nausea. The first thing to understand is that “morning sickness” doesn’t just occur in the morning. As plenty of mothers can testify, it can hit anytime. But what exactly triggers it? While there may be no clear culprit, hormones are the most likely cause. Since morning sickness often occurs during the first trimester of pregnancy, it’s possible to link it to the level of human chorionic gonadotropin, or hCG. hCG is produced mostly during the first trimester of pregnancy when the cells that form the placenta eventually attach to your womb. They’re also one of the things that your average pregnancy test detects. Think of them as the site inspectors for where your baby will eventually settle inside your body: they’ll get busier and busier until they’re sure that your little one is ready to settle in. Since hCG is a hormone, it can wreak havoc with how your body perceives smells or even affect your emotions. It’s similar, but not the same to the body and psyche fluctuations that you get during your menstruation. All of this is a signal to the rest of your body to prepare for a new life to grow inside of it. This includes everything from making sure your baby gets the right nutrients to developing the necessary parts for it to sustain itself once it’s born. However, a lesser studied theory posits that morning sickness is your body’s genetic marching orders once you’re pregnant. This ensures that you don’t ingest anything that may potentially harm or hinder the growth of your baby. Certainly, the reason for being a little bit queasy because you’re protecting someone you love is something innately understood by all mothers. If you want to learn more about morning sickness, you can click on this video. I’m expecting more than one baby – is there no morning sickness with twins? It’s hard to tell. Since plenty of factors affect how each woman’s body responds to being pregnant, we can’t say that “twins no morning sickness” is an actual thing. Even morning sickness itself isn’t precise – not all women suffer from it. 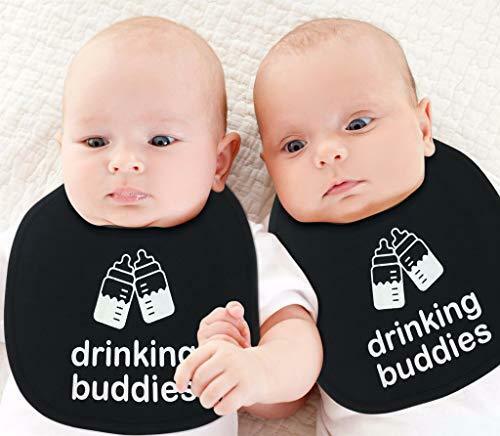 There are plenty of discussions online about the link between having twins and not suffering from morning sickness, but it would seem like opinions are roughly split. The consensus is that it depends from woman to woman. There are some who say that they’ve never suffered from morning sickness, regardless of whether they’ve had single or twin births; while others will say that it’s more when you’re expecting twins because your body is preparing for two babies. While science can only go so far, it may also help to trust both your medical history and your intuition. If this isn’t your first pregnancy and you’ve never suffered from morning sickness, it’s likely that you still won’t, even if you’re expecting a twin birth. But on the other hand, your body may surprise you. But the key thing is that no matter how hard it may be (or how many rushed trips you take to the bathroom during your first trimester) you’ll always love and cherish your two beautiful babies once they come out to the world! Morning sickness may be difficult, and it is out of your control whether it’ll happen to you or not, but it’s a small – and brief – sacrifice you’ll have to make for your loved ones. Do you know someone who swears that there’s no morning sickness with twins? Leave your stories in the comments below!